Our Women’s Imaging Centers specialize in breast, bone density and other diagnostic services designed to address the specific needs of women of all ages. Extensive research by the American Cancer Society proves that regular mammograms substantially reduce breast cancer mortality. The American Cancer Society and EGR agree that a baseline mammogram should be performed by age 40 to establish a healthy image for easy comparison with subsequent annual exams. Because if breast cancer is caught and treated while it is still confined to the breast ducts, the cure rate is close to 100%. Considering that breast cancer is the second leading cause of cancer mortality in women, it is proof positive that early, accurate detection is the key to beating breast cancer. Women with high risk factors may want to establish a healthy baseline mammogram even earlier. For your convenience, you can schedule an appointment for a digital mammogram without a doctor’s referral. 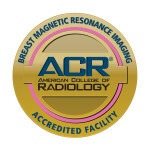 Why choose East Georgia Radiology for breast and other women’s diagnostic imaging services? 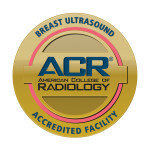 Because we have board-certified radiologists sub-specializing in women’s imaging, and our facilities, physicians and staff share the unsurpassed experience, services and technology that designated our facilities, an honor given to only a select few women’s healthcare providers in Georgia. 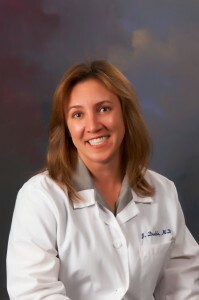 Beginning in August 2014, Statesboro Imaging Center introduced 3-D Breast Imaging to the area. In Summer of 2015, Effingham Imaging Center and Effingham Hospital began offering 3-D Breast Imaging at their locations. Tomosynthesis (also referred to as 3-D breast imaging) is now available at no additional cost to you. All our radiologists have been trained extensively to use the new Hologic Mammography unit. Research shows that women, especially those with dense breasts, benefit significantly with Tomomsynthesis. Call us today to schedule your mammogram! If you are over 40, have a strong family history of breast cancer, or health factors that put you at risk for breast cancer, there are many local resources to help you get the screenings and treatment you need. Your local health department has Breast and Cervical Cancer Prevention Programs (BCCP) available. For Bulloch and surrounding areas, you may also qualify for free or discounted services through The Hearts and Hands Clinic. If you do not have health insurance, discounts are available. For more information, please visit one of the links below or call (912) 486-1339.